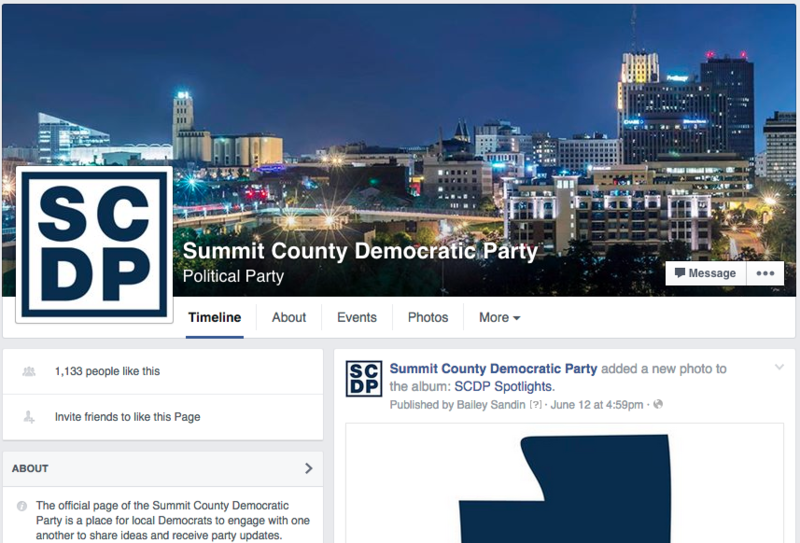 It's been a long time coming, but I am happy to announce that on the tail end of our first year in leadership, we are launching a new online home for the Summit County Democratic Party as part of our ongoing re-engineering effort. This site was designed to incorporate a more modern aesthetic, along with Nationbuilder's robust community organizing features. The facelift is also part of a larger effort to rebrand the Party's presence across all online platforms. As some of you have already noticed, Facebook and Twitter look a little bit different as well. 12. a few more goodies. Please have a look around, and don't be afraid to let us know what you think. Thank you all for your continued support, and we look forward to hearing from you soon!